Okay, #fridayreads still The Amazing Adventures of Kavalier and Clay. I’m taking my time with it, obviously. But enjoying it. Really enjoying it. Then I’m going onto The Lincoln Lawyer by Michael Connelly. Been listening to Nina Simone, and yet again Jimmy Page and the Black Crowes Live which seems to be my favourite writing album at this moment in time. However this week I have listened to Pink Floyd – The Wall Live. This was spurred on by Bernard Schaffer tweeting about listening to The Wall over and over again. Of course, I’m a huge Floyd fan so it hasn’t been that long since I listened to The Wall. Hence why I went for the live album instead this time around. It’s as good as the studio effort, and in some spots I think superior. Well worth listening to. The first PF album I GOT was Dark Side of the Moon. Then I listened to Wish You Were Here and totally GOT it from day one. However The Wall took a little bit of time with me. I had growing up to do before I could really listen to it and see what it was about. It’s pure genius. 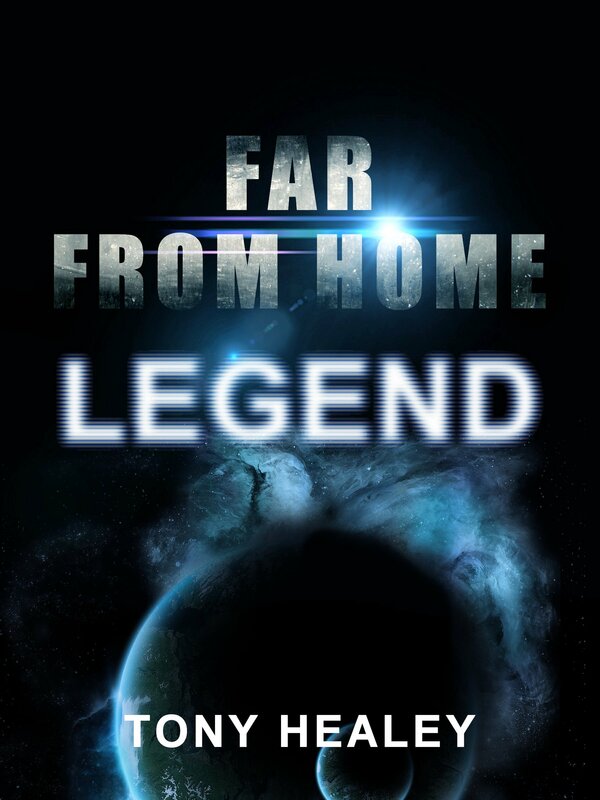 The first draft of FAR FROM HOME #1: LEGEND is complete. I’m now into the second draft stage. My plan is to offer the book free on smashwords, and here, and hopefully get Amazon to do a price match. I want this first volume available feely to all. This may sound like madness in one way, but consider: I’m writing a series of 12, so offering the first in the series as a free book makes sense. What do the tasting people in the supermarket do? They give you a taste of the cheese hoping you’ll buy the whole block. Same thing here. If people like the first in the series, they’ll want to read more. Subsequent instalments, will not be free. You’ll be able to buy them on Amazon and Smashwords for less than the cost of a cup of coffee. And what’s more I’ll tell you now, I will not be enrolling them in KDP select. Bernard’s right. The bubble’s well and truly burst on that one.